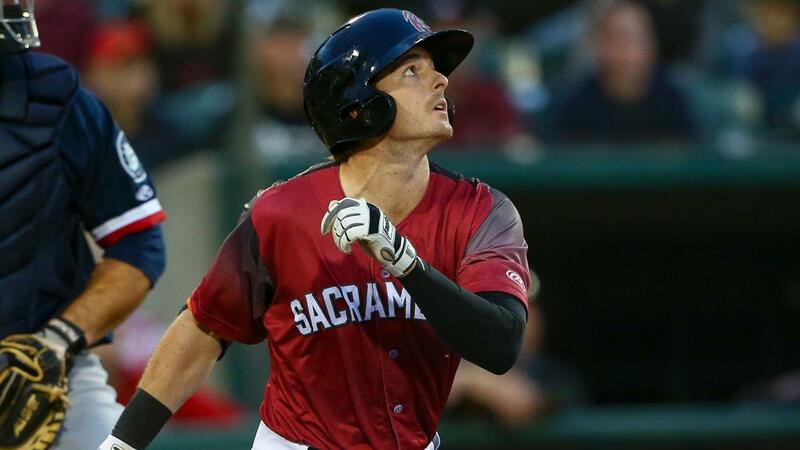 Salt Lake City, Utah -- The Sacramento River Cats (5-4) picked up their first road win of the year, defeating the Salt Lake Bees (2-6) 4-2 thanks to a late home run from Mike Yastrzemski and a solid start from Ty Blach. Blach put up five strong innings, striking out six batters, but did not factor into the decision for the second straight time. Mike Gerber stayed hot, leading off the game with a double and later coming around to score as the River Cats jumped out to an early lead. Left fielder Yastrzemski came up with the biggest hit of the night, however, blasting his first homer in the seventh to give Sacramento a 3-2 lead that they would never relinquish. The Giants acquired Yastrzemski from the Baltimore Orioles near the end of Spring Training in exchange for former River Cats pitcher Tyler Herb. The River Cats bullpen was terrific backing up Blach on Friday. They allowed just one earned run over four innings, striking out five Salt Lake batters. Sam Coonrod picked up his first save while also preserving his perfect 0.00 ERA in 4.2 total innings. The River Cats will go with Righty Enderson Franco (0-0, 18.00) in game two of four facing left-hander Dillon Peters (0-0, 0.00) for the Bees. First pitch is set for 5:35 p.m. (PT). Catch all of the action live online at rivercats.com, on the MiLB First Pitch app, and on the air on Money 105.5 FM beginning at 7:00 p.m. (PT). Mike Gerber and Mike Yastrzemski both extended their hitting streaks to six games. Gerber is batting a team high .407 and is within the top 10 in the PCL in batting average. Sam Coonrod picked up his first career save in his sixth professional season, while also picking up the first save of the season for the River Cats. Sacramento improved to 4-0 on the year while leading after the seventh inning. Last year the River Cats were 41-5 when leading after the seven.